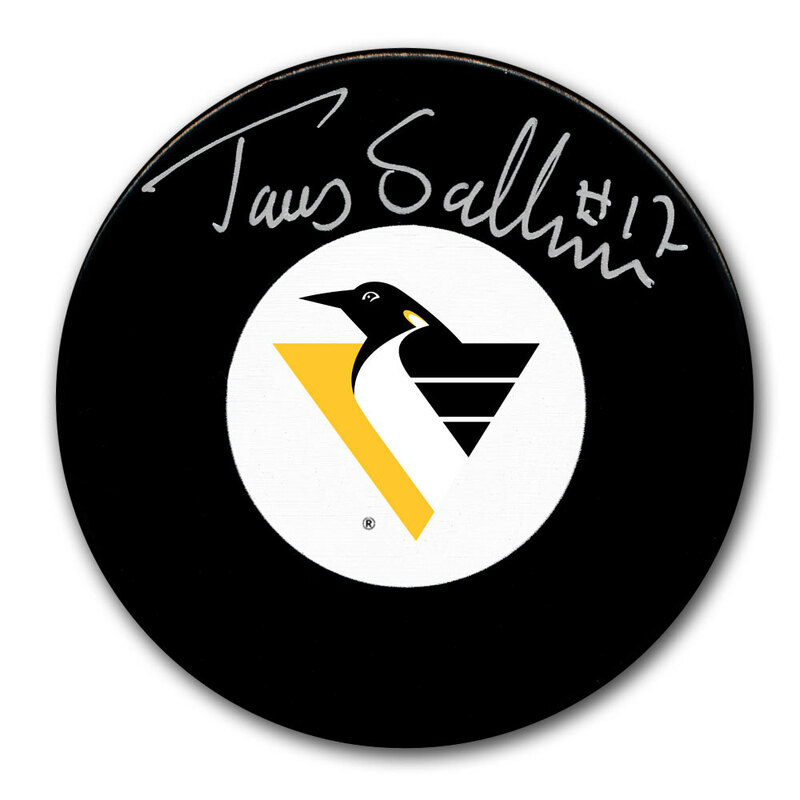 This is a hand signed puck by Tomas Sandstrom. At SPORT AUTHENTIX INC. we guarantee the 100% authenticity of our products. Each signed piece of memorabilia comes with a hologram and a Certificate of Authenticity (COA) from SPORT AUTHENTIX INC.. This certificate is your assurance that the accompanying item has been personally autographed by the sports personality listed. We take tremendous pride in offering the highest quality of genuine sports memorabilia. International shipping rates are based on location. Please contact us for a quote. Combine and Save - We will always combine the shipping to save our customers money. We use Canada Post and UPS to ship all items. The carrier is determined by the size of the item(s) and the final destination. The carrier will send the delivery and tracking information to the billing e-mail provided in your customer profile. We usually ship within 3 to 4 business days of receiving your payment. When combining orders the shipping date may be 4-5 days in order to use one package for multiple items. We will always send you an e-mail confirming the receipt of your payment and when the items are shipped. We ship all items worldwide from our Toronto, Ontario, Canada location. Until further notice we will no longer offer local pickup. No returns once an auction has closed.